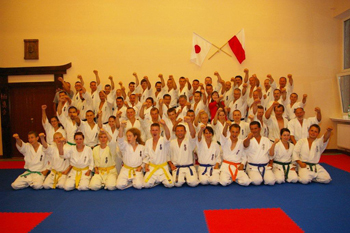 Polish Summer Camp was held in Lublin, Poland from August 25th to 28th, 2011 by local host, Shihan Jacek Czerniec. 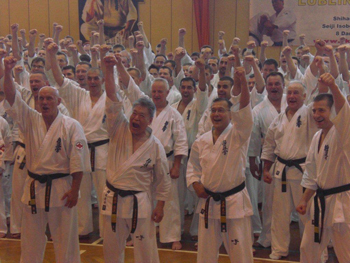 Shihan Seiji Isobe　was the special guest instructor this year, assisted by Shihan Katsuhito Gorai. 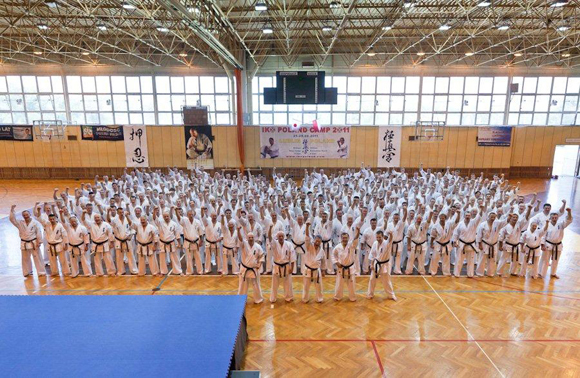 Nearly 300 students from 13 countries made the most of this rare opportunity to train with legendary Shihan Isobe over the four days. Training started at 5am in the morning in Seiza position while waiting for the sunrise. 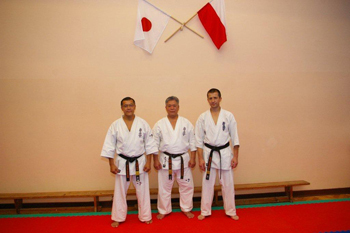 Then Shihan Isobe taught several sessions per day, including a night training, covering kihon, ido, bunkai, kumite techniques and self-defense. 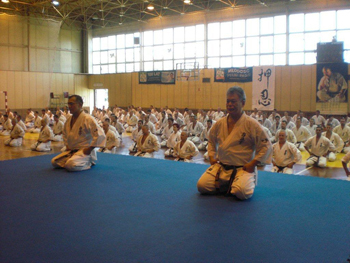 Shihan Isobe expressed the importance of focusing not only physical training, but also on the spiritual and philosophical betterment of the students. Shihan Isobe shared his experiences and knowledge of Kyokushin and how Sosai expressed that dedication, humility and perseverance are necessary to fully appreciate and practice Budo. 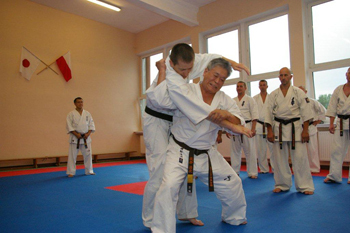 After completion of the camp and most students returned to their home country, one extra session was held at Shihan Jacek's Lublin Dojo and more than 50 Lublin members enjoyed the final 3-hours self-defense with loud kiai together, Osu!